Large, tough vinyl sticker with adhesive backing. 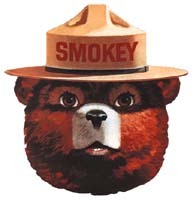 Smokey's face is almost 6" tall. Hundreds of uses.